Saudi Arabia and a coalition of regional allies launched air strikes against Houthi rebels in Yemen on Thursday, the start of a military operation to protect the government, the kingdom's ambassador to the United States said. Gulf broadcaster al-Arabiya TV reported that the kingdom was contributing as many as 150,000 troops and 100 warplanes to the operations and that Egypt, Jordan, Sudan and Pakistan were ready to take part in a ground offensive in Yemen. "The operation is to defend and support the legitimate government of Yemen and prevent the radical Houthi movement from taking over the country," Adel al-Jubeir told reporters in Washington. 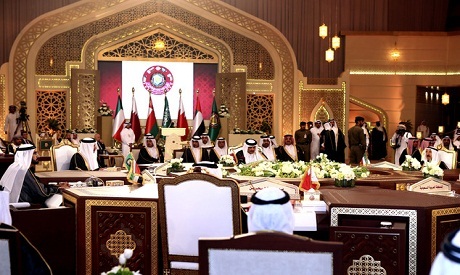 Al-Jubeir said the coalition involved the countries of an existing alliance, the Gulf Cooperation Council, but that it had been joined by "outside countries." "We have a coalition of over 10 countries that will participate in these operations to prevent Yemen from falling at the hands of the Houthis," he said. Separately, a statement issued in Riyadh in the name of Saudi Arabia, Qatar, Kuwait, Bahrain and the United Arab Emirates -- the GCC countries without Yemen's neighbor Oman -- said they had been asked for help by President Abd-rabbu Mansour Hadi's embattled government. Al-Jubeir said that for the moment the action was confined to air strikes on various targets around Yemen, but that other military assets were being mobilized and that the coalition "would do whatever it takes." The ambassador said he would not go into detail about the support being provided by Saudi Arabia's allies, but added "we consulted very closely with many of our allies and in particular with the United States. "We are very pleased with the outcome of those discussions. "We have a situation where you have a militia group that is now in control or can be in control of ballistic missiles, heavy weapons and an air force," he said, arguing that the Houthi advance could not be tolerated. Al-Jubeir said that the legitimate government of Yemen was involved in a political process that had the support of the international community and that no "outside militia" would be allowed to interfere with that. Yemen has been gripped by growing turmoil since Huthi rebels launched a power takeover in the Yemeni capital Sanaa in February and are now fighting in the port city of Aden. The strife has raised fears Yemen could be torn apart by a proxy war between Shiite Iran, accused of backing the rebels -- who follow a strain of Shia Islam -- and Sunni-ruled Saudi Arabia, which supports Hadi. Yemen's acting foreign minister Riyad Yassin warned Wednesday that the fall of Aden would mean the "start of civil war" as he drummed up Arab military support for Hadi, who was taken to a safe haven "within Aden" as the rebels closed in. In Washington, Al-Jubeir said: "We hope that the wisdom will prevail among the Houthis and they become part of the political process rather than continue their radical approach to take over Yemen." About time the Kingdom did something. These out of control roaming vile barbarians should be thinned out and eliminated. Everyone is on their own, as the incompetent White House is busy doing more important functions....watching ball games.